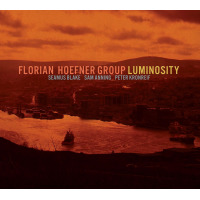 A change in scenery can bring a new perspective as revealed in Florian Hoefner's Luminosity, his third release on Origin Records. Since moving to St Johns, Newfoundland in 2014 after spending years in New York City, the pianist and composer builds on previous works that highlighted a lyrical adeptness in the vein of contemporaries Aaron Parks and Fabian Almazan while exposing an identifiable voice. Fueled by bassist Sam Anning and drummer Peter Kronreif who have performed with Hoefner since 2010 the trio is boosted with the addition of tenor saxophonist Seamus Blake. 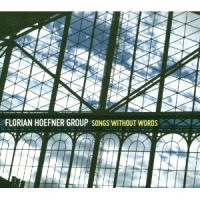 Their chemistry is the perfect conduit for Hoefner's refined song-structurescompositions marked by melody and demanding time signatures. Whether maneuvering through the turbulent grooves of "In Circles" or elegant yet dramatic movement of "The Narrows" these players bring and give it their all. 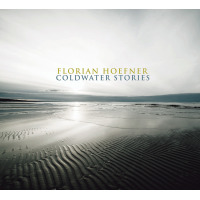 Two tracks typify Hoefner's mellifluous writing. "Newfound Jig" was inspired by traditional Irish music that the pianist has performed on accordion whereas "Reminiscence" moves with a graceful flow and a contagious hook. Both pieces exhibit themes with dance-like qualities and Hoefner's acumen as a composer and a stunning performer. The release sparkles with ideas of thoughtful introspection and kinetic energy much like the scenic backdrops of Canada's largest island. Track Listing: The Narrows; In Circles; Luminosity; Newfound Jig; Elements; Reminiscence; The Bottom Line; North Country. 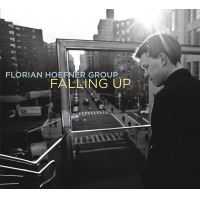 Personnel: Seamus Blake: tenor and soprano saxophone; Florian Hoefner: piano; Sam Anning: bass; Peter Kronreif: drums.